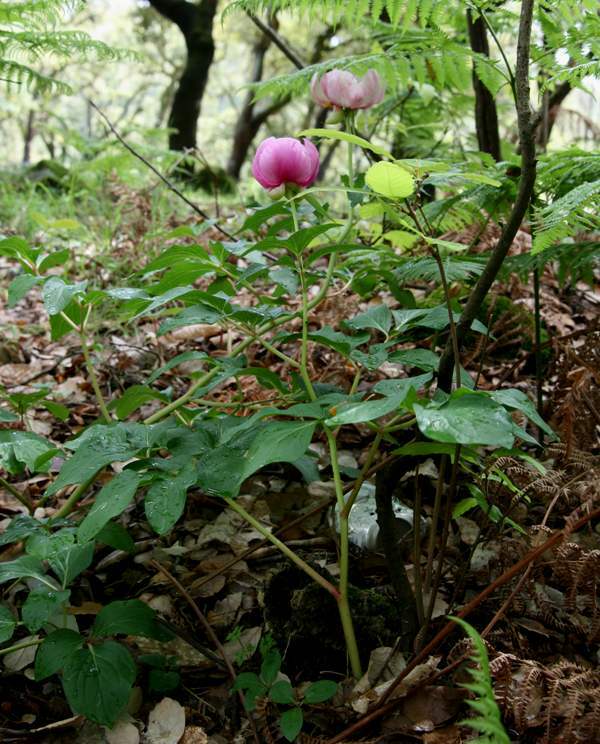 This member of the Peony family is found throughout the Iberian Peninsula. Although very similar to Paeonia mascula, Paeonia broteroi's distinguishing feature are its basal leaves which are divided into 17 or more leaflets. Paeonia mascula's basal leaves are divided into between 9 and 16 leaflets. Paeonia clusii's basal leaves are short and eliptical and divided into 30 or more leaflets. The leaves of Paeonia broteroi are distinctly blue-green on their undersides. 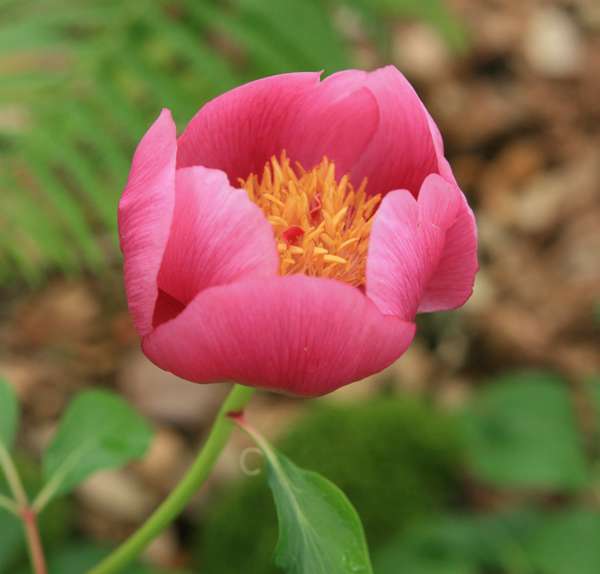 Peony flowers are shortlived, opening first to a cup-shape and then becoming wide open before dropping their petals. This plant blooms from late March to May - slightly later in the mountains. It grows on rocky slopes among scrub and in open woodlands. The specimens shown above were photographed near Monchique in the Algarve region of Portugal.